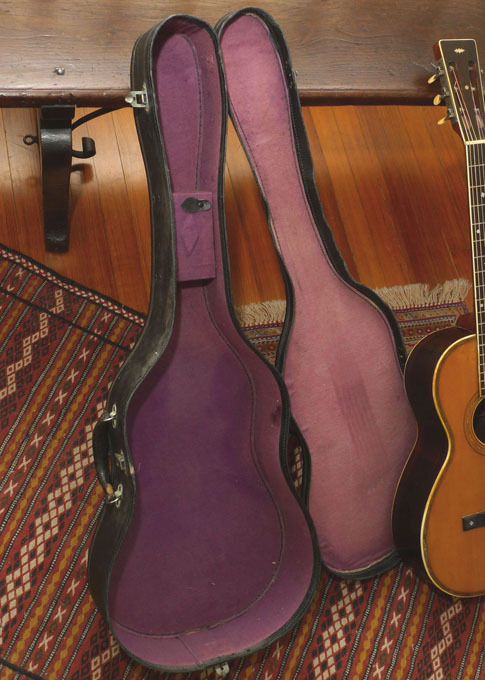 The Larson Brothers of Chicago never marketed any guitar, throughout their long career, that was marked “Larson”. 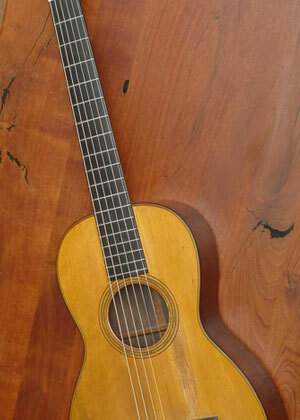 Their designs were branded by Maurer, Stahl, Prarie State, Stetson, and a few other guitar makers– but never “Larson”. 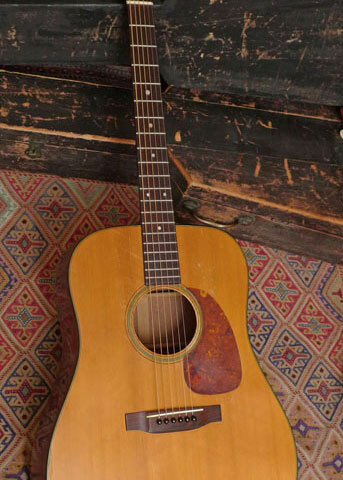 They were also known for making many “off-catalog” guitars, i.e. 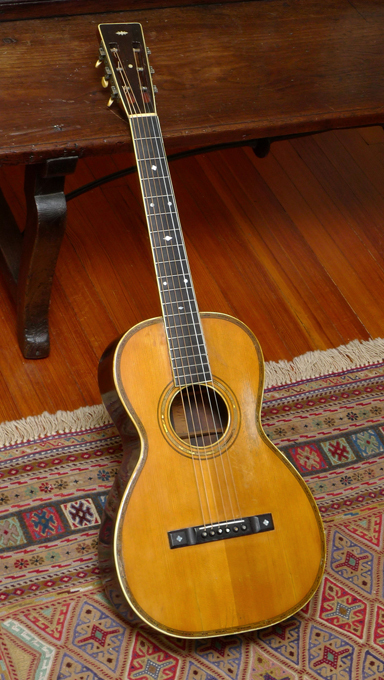 guitars with combinations of features that varied from the Maurer, Stahl, etc, catalogs, and guitars that were not marked at all with a brand. 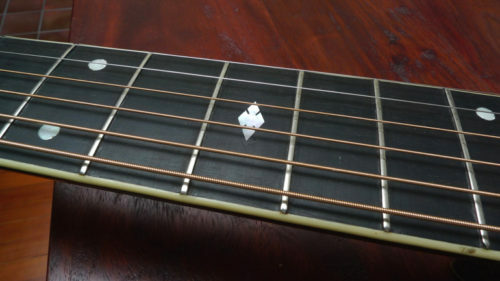 This guitar is a Larson Bros creation that is not marked at all. 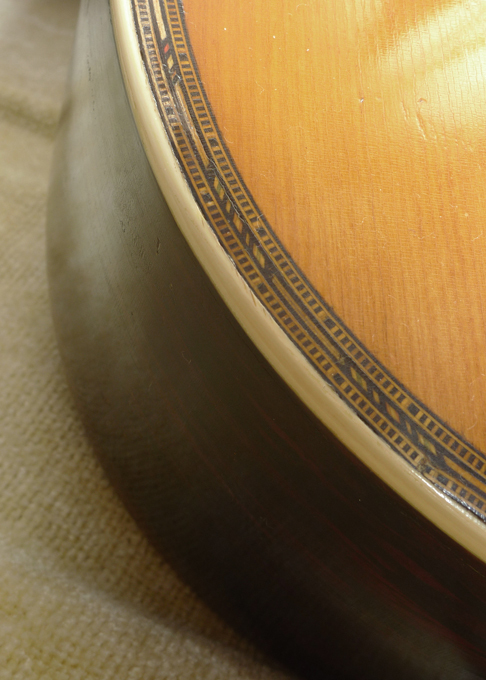 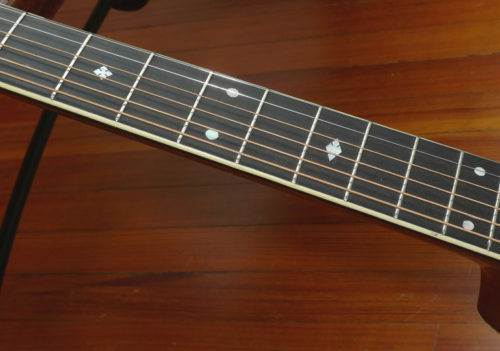 It is a custom made instrument–but it has all the typical Larson hallmarks. 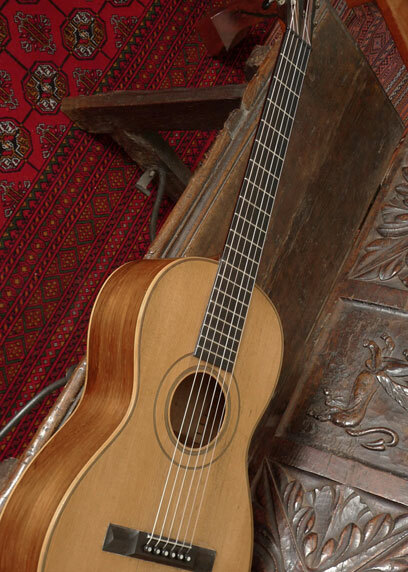 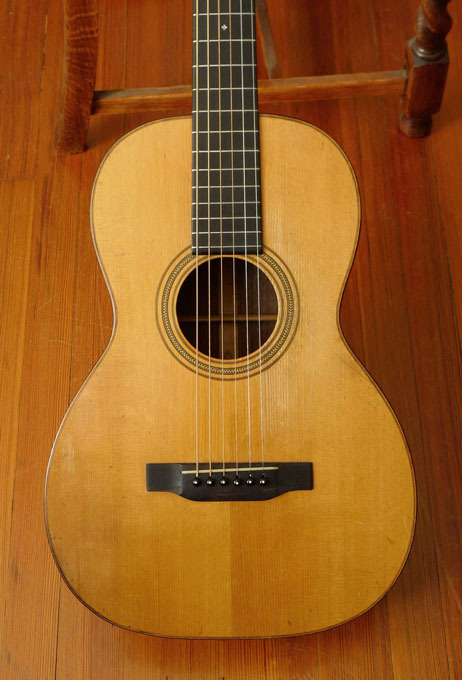 The tone of this Larson is every bit as wonderful as the Maurer/Larson listed above, indeed it is quite similar, due to the same patented “built under tension” design, and X-bracing. 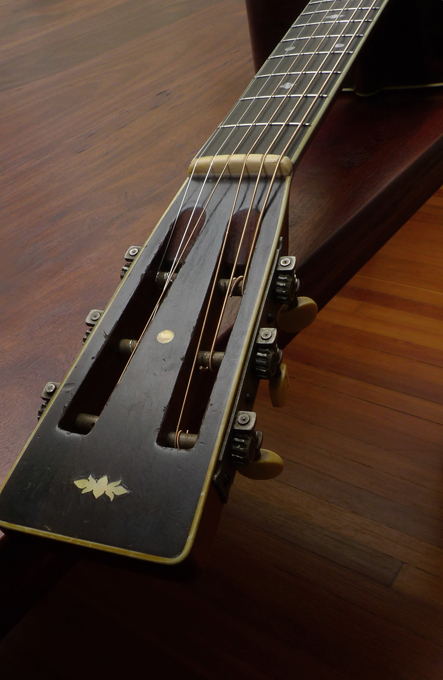 This Larson does not have laminated braces (it’s well documented that laminated braces were only used on certain models–and their use was not related to level or price.) 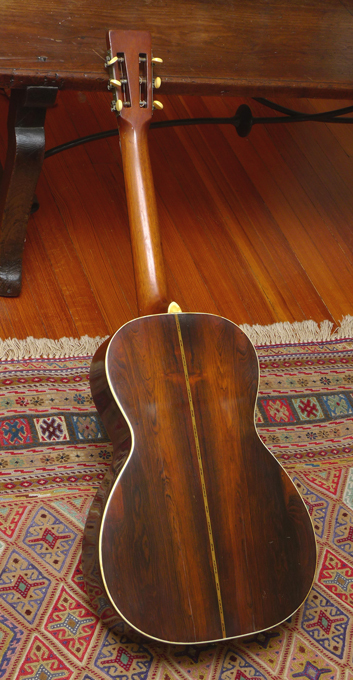 Every part of this guitar is original, including original finish. 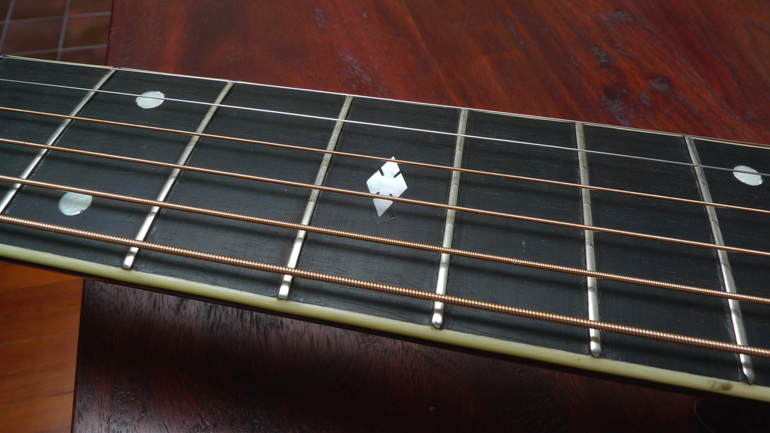 There are two repaired cracks on the back, and three small, repaired cracks on top. 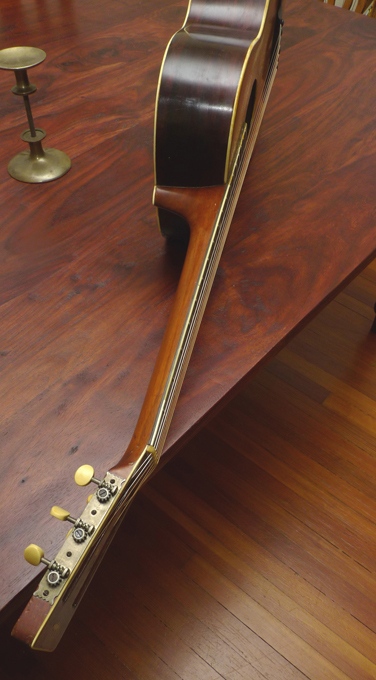 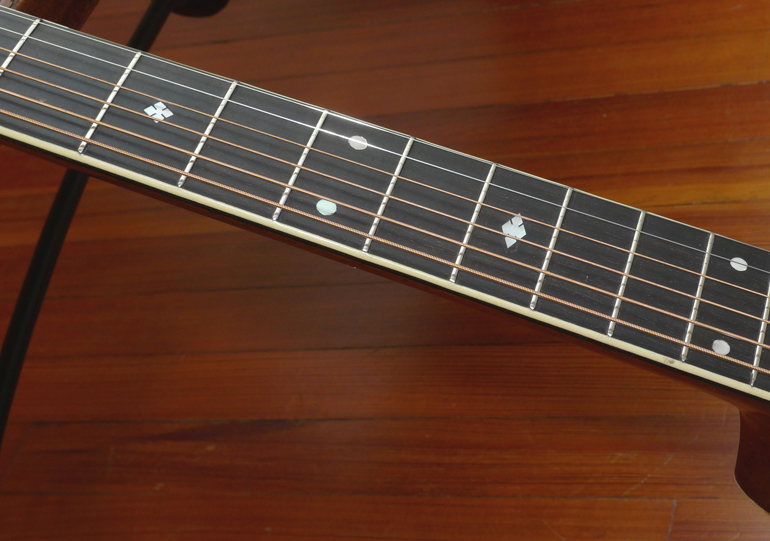 One-piece mahogany neck, round C shaped neck profile.